While we know Storm Front takes place within a couple years of 2000, it’s impossible to pin down exactly what year it takes place due to continuity errors. In the interests of keeping the series timeline internally consistent, we’ve adopted the convention of “BSF” (Before Storm Front) and “ASF” (After Storm Front), with Storm Front and Fool Moon taking place in the year 0 ASF. Here’s the full chronology of the series! 67 MILLION YEARS BSF: Sue roams the Earth! c 2000 BC: Birth/Rebirth of the Red King, who is about 4000 in Changes. He doesn’t look a day over 3500! c 0: Nicodemus is born “about 2000 years ago,” or so believe the Knights of the Cross. This is uncertain, as he takes great pains to destroy all of the church’s documentation of him every few centuries or so. c 1400: Bob seduces shepherdesses! Neurovore notes that Bob claims to have “about six hundred years worth of memories to sort through in here” [BR 219], which suggests his origin is somewhere in the late fourteenth or early fifteenth century. EARLY 1500s: Paolo Ortega becomes a vampire. According to Thomas in DM, “living about six hundred years isn’t something you do by playing nice,” which would have put his siring in the early 1400s, but that doesn’t match up with the timeline of Spanish conquest of the Yucatán. Perhaps Thomas needs a history lesson! ~1393: Freeholding Lord Vlad Drakul, father of Dracula, is born. He is a half-mortal, half-demon scion, and he is formidable, dangerous, and cruel. Kincaid, called the “Hound of Hell” or the “Hellhound,” serves as his right arm for centuries. NOTE: This is the state historians attribute to his birth, not necessarily his Dresdenverse birthdate. As Aluman and Landing noted, he could have been born a thousand years earlier. BEFORE 1600 (Over 400 years ago): Ancient Mai is born. CIRCA 1716 (About 300 years ago, minus 16): Ebenezar and Arthur Langtry meet when Eb was sixteen years old. 269 BSF (circa 1739): Aleron LaFortier is born. 1754 to 1763: The French and Indian War. According to Jim, this was an eventful time in Ebenezar’s life! CIRCA 1810: Ebenezar’s wife dies. 1812: Ebenezar causes the New Madrid Earthquake [BR, 297], the largest earthquake ever recorded in the contiguous United States and an estimated 8.0 on the Richter scale. Clearly, he’s been Blackstaff for a long time! August 1883: Ebenezar makes Krakatoa go boom [BR, 297]. Atmospheric shock waves from the eruption reverberate around the world seven times and were detectable for five days. FAIRLY LATE 1800s: Morgan is born. ~1900: Kincaid loses Ebenezar’s respect in Istanbul. Previously, both assassins at least shared a professional courtesy. 1908: Ebenezar causes the explosion at Tunguska [BR, 297]. The energy of the blast was later estimated to be between 10 and 20 megatons of TNT, which would be equivalent to Castle Bravo, the most powerful nuclear bomb ever detonated by the US. WORLD WAR I: (Courtesy of a necromancer named Kemmler [DB 25].) Morgan fights for Britain. ~43-45 BSF: Michael is born. He’s almost twenty years older than Harry [GP 315], who was born in 26 BSF. In GP, Michael jokes about starting a midlife crisis [GP 384–Thanks to DanielleJD], which most commonly occur at 40-45. 1950s: Morgan nukes a skinwalker at a Nevada testing facility. LIKE A BOSS. 1961: Kemmler is killed (again). Justin Dumorne acquires Bob the Skull from the smoldering ruins of his lab. ~34-36 BSF: Charity is born. Dates are VERY approximate and based on the assumption that she was in her early 20s (22-24ish) when Molly was born. Her age difference with Michael is somewhere in the ballpark of 9 years. 31-32 BSF, February 14: Thomas Raith is born. He is five years old when his mother escapes. 32 BSF: Waldo Butters is born. Mazel-Tov! 29 BSF: Karrin Murphy is born. Harry observes that her first husband looked about ten years older than her, guessing that Murph was 18 at the time [SK 86], so I originally put her at 30 BSF. However, assuming Lisa has the same father as Karrin and given Karrin’s age at the time of her father’s suicide (11), I had to adjust the date. ~26-27 BSF: Thomas is given a pentacle necklace on his fifth birthday. His mother escapes Lord Raith. 26 BSF: Maggie LeFay meets Malcolm Dresden. 26 BSF, some time between August and October – Malcolm Dresden and his heavily-pregnant wife Margaret visit the Lincoln Memorial. 26 BSF, October 31: Harry is born. Harry’s mother, now Margaret Gwendolyn Dresden, dies in childbirth. She is murdered by a ritual entropy curse, courtesy of Lord Raith. 19 BSF: When Harry is 6, his father, Malcolm Dresden, dies of a brain aneurism [FM 222]. According to Chauncy, this death was supernaturally engineered, but we don’t yet know the specifics. ~18-20 BSF: Billy, Georgia, and the rest of the Alphas are born. ~18 ASF: Nick Christian’s first missing child case. As of Ghost Story, he’s been working them for 30 years. ~17 BSF: Justine is born. In GP, Michael puts her at younger than 19 [GP 212]. 17 BSF, late Autumn/Early Winter: Murphy’s youngest sister, Lisa, is born. 17 BSF: Collin Murphy commits suicide. 15 BSF: At age 10, Harry manifests his magical abilities and is adopted by Justin DuMorne a few weeks later. Elaine Mallory is adopted soon after. 15 BSF: Carlos Ramirez is born. He is 17 in SK and 20 in DB. ~13-17 BSF: Amanda Beckitt born. She is “in her late teens or early twenties” in DM. 12-13 BSF: Faith Astor is born. 12 BSF: At age 13, Harry learns to make a shield, dodging baseballs. 12 BSF: Molly Carpenter is born, according to WN and beyond. She’s suddenly a year too old in WN, and the change is kept consistent for the subsequent stories. 9 BSF: Harry is 16. Justin tries to enthrall Harry, but he manages to escape and makes a deal with the Leannsidhe, his fairy godmother, for the power to defeat Justin. Justin dies in the fire (and is D.E.D. DEAD), and Harry believes the same of Elaine, even though only one set of bones was found and his Subconscious is fully aware that this is crap. Harry steals Bob from the ashes. Soon afterward, Harry is brought to trial for Justin’s murder. Ebenezar stands up for him, and he is put under the Doom of Damocles rather than being executed. Harry lives with Ebenezar for nearly three years, from sometime not too long after his 16th birthday until his 19th or so. 8 BSF, late September: Irwin Pounder is born. 5 BSF: At age 20, Harry arrives in Chicago. Before he goes to work at Ragged Angel, he takes a number of jobs, one of which was as a dance partner with a senior-citizen organization. 4-6 BSF: The most recent version of the Unseelie Accords is signed 10-12 years before Proven Guilty [PG 127]. Thanks to Tepick! I wonder if this coincides with the Unseelie Incursion of 1994? 4-6 BSF: The White Council holds their last hearing for a known violator of the laws of magic. In 6 ASF, Molly will be the first wizard to be tried in 10-12 years. 4-5 BSF: At age 20-21, Harry starts working with Nicholas Christian (“Nick”) at Ragged Angel. He spends three years there. — Ivy (The Archive) is born. She is about seven in Death Masks [DM 108]. — The last time Charity sees Harry before the events of Grave Peril. Michael is injured, and Charity thoroughly chews Harry out. 3 BSF, probably Summer: Amanda Carpenter is born. 2-3 BSF: A Restoration of Faith. Harry meets Murphy. He has 6 months left of working at Ragged Angel. Faith Astor is 10. At this time, the Vargassi family and the Jamaicans rule the Chicago mob scene. ~2 BSF: Marcone topples the Vargassis and founds his own empire. 2 BSF: Harry learns about Undertown (about five years after he moves to Chicago). 0-1 BSF, late winter? : Thomas and Justine meet at Zero and become involved. This is “nearly five years” before the events of Blood Rites, which takes place in late Autumn of 4 BSF [BR 14]. Justine is about 16, and Thomas is in his early thirties. Eww. 0 ASF, March: Storm Front. Harry is 25, according to Jim, and he’s been wizarding professionally for two years. We can reasonably place the year 0 in the timeline within a year or two of 2000. 0 ASF, November: Ghoul, Goblin, a graphic novel. A small town family is tormented by creatures of the Nevernever. 1 ASF: B is for Bigfoot, the short story from Under My Hat. Irwin is 8 or 9. 1 ASF, October: Grave Peril. Probably early October, so that there could be a few weeks between Susan’s departure and the birthday card she sends Harry on Halloween. Harry Carpenter is born and instantly doomed to get beaten up every day of his life. Note: Harry meets Father Forthill sometime during the previous year, between Ghoul, Goblin in November of 0 ASF and Grave Peril. 2 ASF, June (Midsummer): Summer Knight. June 16 — The Reds attack Archangel. Senior Council member Simon Pietrovitch (Justin’s old master and the Council’s vampire expert) is killed, among many others. June 17 — Murphy’s first husband, Gregory Taggart, dies of cancer at age 43. June 18 — A rain of toads, Harry makes his deal with Mab, the Council meeting is held, and Elaine returns. 3 ASF, late February: Death Masks. Susan has been gone about a year and a half. 3 ASF, late November: Assuming a nine-month pregnancy, Maggie is born. 3/4 ASF (btw DM and BR): Vignette (Jim originally stated he had no time frame in mind, though the reference to unicorns led me to place it some time after Summer Knight. Good to finally have a date pinned down, thanks to Side Jobs! 4 ASF, Summer: Mold demons devour the Beetle’s interior. They were “a present from the guest villain a few months ago.” Also, Harry travels to “exotic Oklahoma” and runs down a rogue storm sylph as a favor to the Summer Lady. 4 ASF: Molly manifests her magic. 4 ASF, late Autumn: Blood Rites. Thanks to wydren, we now know this takes place a year after DM, as after Inari’s failed attempt to seduce Harry, he tells Thomas that it had been over a year since he had been with Susan [BR 161]. We also know it takes place slightly less than two years before PG. We know that Lisa Murphy (Karrin’s youngest sister) is one month shy of 21, and that her fiancee Rick/Rich is nearly twice her age. Late 4 ASF/Early 5 ASF: Murphy begins teaching Harry to stick fight. 5 ASF, October (Halloween): Dead Beat. Georgia is now in Grad School, which makes sense now that we know she was in college in FM. We’re not sure when they started grad school, but we do know that she and the rest of the Alphas are going to graduate in a year and a half. Ramirez is 20, according to Word of God. October 29: The book begins. 5 ASF, November? : I Was A Teenage Bigfoot, the short story from Blood Lite 3: Aftertaste. Irwin is 14. It takes place after Dead Beat, as Harry is a Warden. 6 ASF, March: War Cry, a graphic novel in which Harry and a trio of young Wardens defend an outpost of Venatori from a Red Court attack. 6 ASF, Spring to early Summer (? ): Something Borrowed, the short story from My Big Fat Supernatural Wedding. Billy and Georgia are married, despite the best efforts of Maeve and Jenny Greenteeth. I’m tempted to set this in the Spring of 6 ASF because of vague references to weather conditions (Murphy is just wearing a shirt, and dons a jacket to go into Undertown), but if anyone can find more explicit evidence of when this story takes place, I’d appreciate it. 6 ASF, July: Proven Guilty. 7 ASF, Spring: Harry, Ramirez, and Luccio train baby wardens at “Camp Kaboom.” Badness ensues. 7 ASF, May: White Night. Marcone becomes the first vanilla human freeholding lord under the Unseelie Accords. Molly is 19, somehow having celebrated two birthdays in the ten months between this book and Proven Guilty, in which she was 17. 7 ASF, June: The Alphas will graduate. 8 ASF, February 13-14: Down Town, a graphic novel in which Harry and Molly fight a slime monster slaughtering local businessmen. 8 ASF, February 14: It’s My Birthday Too, the short story from Many Bloody Returns. Thomas turns 39-40. Molly is 20 (“just out of her teens”) and has been Harry’s apprentice for a year and a half. 8 ASF, a few months after DT/IMBT: Wild Card, a graphic novel that pits Harry against the chaotic, vicious, Joker-ish Puck. 8 ASF, October: Heorot, the short story from My Big Fat Supernatural Honeymoon. 8 ASF, late November: Small Favor. 9 ASF, ?, a week before Day Off: Harry travels to New Orleans and demonstrates a ritual cleansing for the Paranetters, disrupting the fiendish wrath of Darth Wannabe. 9 ASF, ? : Day Off, the short story from Blood Lite. Most likely does not take place in Winter, as Harry and Luccio’s date was supposed to include horseback riding. 9 ASF, Summer: The Warrior, the short story from Mean Streets. 9 ASF, Summer: Curses, the short story from The Naked City. According to Cass and Katarn, chronologically it fits in 2008-2009 — all decent seasons for the Cubs, with Tampa Bay also rising in the ranks. 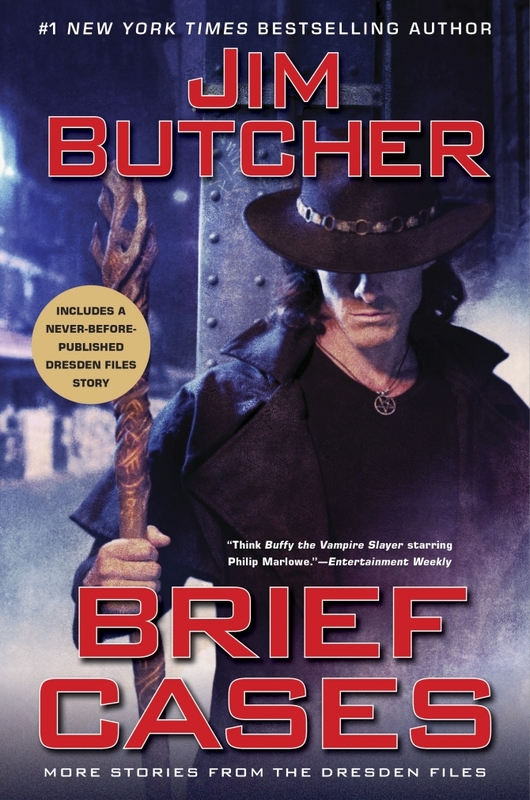 Somewhere between May of 9 ASF and the Summer of 10 ASF: AAAA Wizardry, the short story included in The Dresden Files RPG: Our World. 10 ASF, March: Last Call, the short story from Strange Brew. 10 ASF, mid-October: Bigfoot on Campus, the short story from Hex Appeal. Irwin is 18. 11 ASF, late March (8 months before Changes): Even Hand, the short story from Dark and Stormy Knights, told from Marcone’s POV. 11 ASF, September: Love Hurts, the short story from Songs of Love and Death. And 45 minutes later: Aftermath, a novelette from Murphy’s POV, published exclusively in Side Jobs. 11 ASF, late Decemberish: Billy and Georgia’s daughter is born! 12 ASF, September: Bombshells, the Molly-POV story from Dangerous Women. and a few days after: Cold Case, the Molly-POV story from Shadowed Souls. 14 ASF, mid May: Jury Duty, the short story from Unbound. 14 ASF, December 24th: Christmas Eve, a short story. According to Jim, Malcolm Dresden met David Kotkin (David Copperfield) through the Society of American Magicians, which DK was inducted to in 1970. Thomas is five when Margaret “Maggie” Gwendolyn LeFay escapes Lord Raith. She meets Malcom Dresden the next year. AGE 0: Harry’s mother, now Margaret Gwendolyn Dresden, dies in childbirth. She is murdered by a ritual entropy curse, courtesy of Lord Raith. AGE 6: Harry’s father, Malcolm Dresden, dies of a brain aneurism [FM 222]. According to Chauncy, this death was supernaturally engineered, but we don’t yet know the specifics. AGE 10: Harry manifests his magical abilities at age 10 and is adopted by Justin DuMorne a few weeks later. Elaine Mallory is adopted soon after. AGE 16: Justin tries to enthrall Harry, but he manages to escape and makes a deal with the Leannsidhe, his fairy godmother, for the power to defeat Justin. Justin dies in the fire (and is D.E.D. DEAD), and Harry believes the same of Elaine, even though only one set of bones was found and his Subconscious is fully aware that this is crap. Harry steals Bob from the ashes. Harry is brought to trial for Justin’s murder, but Ebenezar stands up for him, and he is put under the Doom of Damocles rather than being executed. Harry is with Ebenezar for nearly three years, from sometime not too long after his 16th birthday until his 19th or so. AGE 19-20: Harry arrives in Chicago. AGE 23-24: Harry opens his detective biz! AGE 0: Karrin is born in 27-29 BSF, the first child of Collin and Marion Murphy. AGE 11: Collin Murphy takes his own life. Until that time, he had been a “black cat” investigator, a senior detective in the 13th Precinct. [BR 234-5] His wife is left to take care of the kidlets. The youngest daughter, Lisa, is either an infant or conceived but not yet born. AGE 17: Karrin Murphy marries Gregory Taggart, who is some ten or twelve years her senior. He leaves her, and all subsequent attempts at conversation end in a fight. She later marries Richard Boughton. They also divorce, when Murphy translates Rick’s desire to start a family as an effort to keep her at home, away from her job. Alas, we have almost no dates for her, so here’s her basic chronology. When she begins to come in to her power (barely more than a child, Eb says), she is trained by Ebenezar. She balks under his overly intense regimen. She runs away as soon as she can get away with it and takes up with bad sorts out of sheer rebellion. “She made a couple of bad decisions, and . . . and then it was too late for her to go back.” One of her associates includes Justin DuMorne. She is over 100 years old when she takes up with Lord Raith, who tries to snare her permanently. However, she proves to be too strong for him to completely enthrall. 34-35 BSF: Thomas is born. ~29-30 BSF: Maggie escapes Lord Raith. Thomas is five years old. 27-28 BSF: Maggie meets Malcolm Dresden. 26 BSF, October 31: She is killed during childbirth by Lord Raith’s Ritual Entropy Curse, but with her death curse, she makes him unable to feed. + It is unclear when she sets up the special Harry and Thomas soul gaze message. 1994: The Unseelie Incursion, “when the entire city of Milwaukee had simply vanished for two hours. Gone.” It was reported on in the Midwest Arcane and referenced on p. 55 of Storm Front. Margaret Katherine Amanda (Molly) – 17. She is 14 in DM (thanks, Zarrot! ); therefore, her birthday is after July and before late February, when DM takes place. (However, Jim gives her age as 19 in White Night, though less than a year has gone by between PG and WN. Clearly, Molly has recently spent time in a DeLorean or a spaceship cunningly disguised as a Police Box.) She’s an inch or so under six feet, like her mother, and naturally blonde, though she’s taken to dyeing her hair in crazy colors: cotton candy pink and blue in PG, bleached white in WN. Daniel – 16. Harry thinks’s he’s “maybe old enough to take a driver’s test.” According to Jim, he was conceived 2-3 years after Michael rescued Charity. He’s thin, and both he and Matthew share Michael’s dark hair and solid, sober expression. Based on his reaction to the fetches in PG, we know that he’s definitely his father’s son! Matthew – 13-14, between grade school and pimples. Amanda – almost 9, as she’s 5 1/2 (and a princess!) in DM. She has curly blonde hair and a fondness for bright-colored clothing. In DM, she wears a pink dress with a clashing orange sweater, bright purple shoes, and a red coat. Hope (“Hobbit”) – 6 or 7. Also blonde. Harry (“Hank”) – 4 1/2. Dark hair, like his brothers. This timeline was started by Priscellie, who continues to edit it, but it is the result of years of hard work by dozens of fans. It’s impossible to pin down exactly what year Harry was born due to continuity errors. One could say Harry couldn’t have been born before 1974 because that’s when David Copperfield assumed his stage name, but one could argue Harry couldn’t have been born after 1972, because that marked end of routine smallpox vaccination in America. To allow for flexibility of interpretation, I’ve adopted the convention of “BSF” (Before Storm Front) and “ASF” (After Storm Front), with Storm Front and Fool Moon taking place in the year 0. PRO: Lydia’s prophetic dream about the Challenger disaster in 1986 hits at a more plausible age (while still certainly plausible for Harry being born in 1976). Assuming she’s talking about the assassination attempt on Reagan in 1981, this is also the most plausible. ISH: David Kotkin (age 18) takes the stage name “David Copperfield” in 1974, though his career doesn’t take off until 1975. Still, if Malcolm knew him from the SAM and even helped him choose a name, this isn’t a deal-breaker. CON: Butters assures Harry that he’s vaccinated against smallpox, but routine vaccination of the American public stopped in 1972 after the disease was eradicated in the United States. CON: Doesn’t fit with Knight Rider timeline. The show aired from September 1982 (when 1974!Harry was just shy of 8) to April 1986 (when 1974!Harry was 11). In “Ghost Story,” Harry watches new episodes of Knight Rider when he’s 13. In order for the timeline to fit, Harry would’ve had to have been born between 1968 and 1973. Alternately, Harry could’ve been watching reruns, but I doubt that was Jim’s intention.